Willie Edward Conwell native of Laurens County and lifelong resident of Asheville NC died March 20, 2019. He was the son of the late James and Nannie Conwell of Laurens County, SC. He was preceded in death by his wife Annette Conwell; two siblings, Betty Ann Conwell, Samuel Rivers and son Jerome Logan. 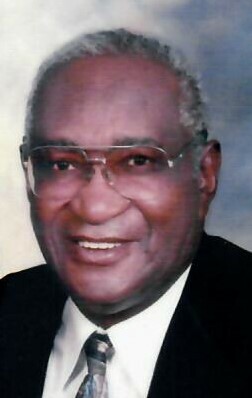 Deacon Willie Conwell was a devoted member of Pine Grove Missionary Baptist Church. He served as a Deacon, Emeritus Superintendent of Sunday school, Male Chorus, Workers for Christ, Finance community and Senior Choirs. Deacon Willie Conwell retired from Asheville Citizens-Times after 39 years of services and worked 19 years part-time for Patla,Straus,Robinson & Moore,P.A. He leaves to cherish his memory his two siblings Eula Thomas of Charlotte, NC and James Rivers of Asheville, NC, two children Lee Conwell (Linda) of Asheville, Betty Ann Foster (Wallace) of Asheville, step-children Charles Smith Jr. of Asheville, NC, Jerome Smith of Asheville, NC, Terry (Willie) Crouch of Asheville, Willie (Conwell) White of Asheville, grandchildren Torrey Foster (Regina) of Richmond, Virginia, Wallace E. Foster Jr. of Asheville, Lateasha Walker of Charlotte, NC, Latrice Roland of Asheville, Jamica Roland-Lyles of Asheville, Melissa Simpson of Asheville, Melesha Simpson of Asheville, Candice Wiley of Asheville, fifteen great-grandchildren and nine great great-grandchild and a host of nieces, nephews, cousins and lifelong friends. Services will be held Tuesday, March 26, 2019 at 12:00 pm at Pine Grove Missionary Church, located at 11 Pine Grove Ave. Rev. Luela Whitmire will officiate; burial immediately following at Violet Hill Cemetery.